“I’m a little bit obsessed with Mabel,” confessed Alice Murphy, without a shadow of shame. 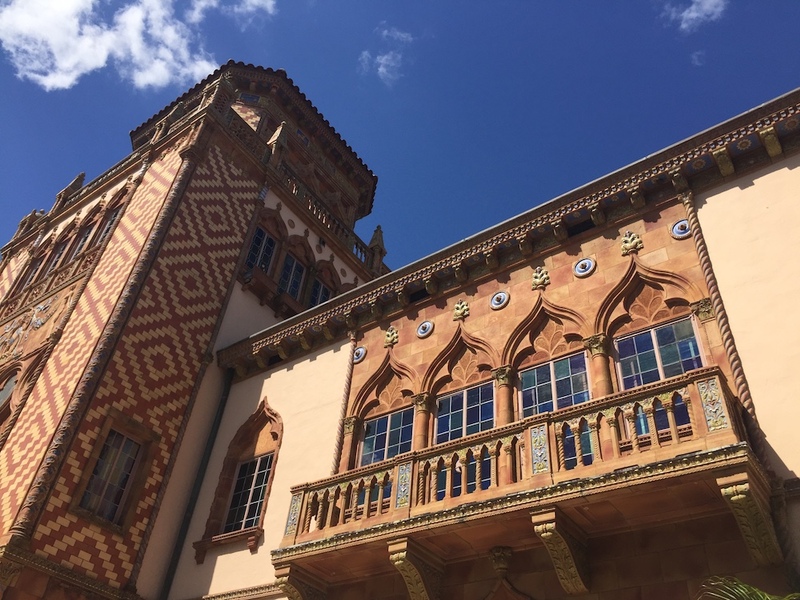 In her capacity as PR manager at the John and Mabel Ringling Museum of Art, she was guiding me across the sprawling Ringling grounds to the mansion on the bay and giving me an impromptu tour as we went. If one must be obsessed with a character like Mabel, these grounds — bequeathed to Sarasota by the Ringlings — are the only place to be. They are as close to one can get to the quiet, media-shy wife of a circus baron who oversaw the construction and decoration of Ca’ d’Zan. Every reference book on Ca’ d’Zan — House of John — remarks that it truly is the House of Mabel, as she was present throughout the building, oversaw the mixing of colours and ensured that not one tile or nymph was out of place. But of course she named it Ca’ d’Zan because written between the lines of each of those references is how very much she loved her husband, who showed her the world and gave her the means and freedom to build a palace. We do not know how Mabel and John met, though she might have been a dancer or other sort of performer in the circus he ran with his four brothers. We do know that they married when she was 30 and he was nine years older, and that they spent most of their time travelling with the circus or on their own, and that she had a special place in her heart for Venice. They spent only three months of each year in Sarasota, but were pillars of the community. The real-estate baron side of John dreamed of turning the city into a resort paradise, and Ca’ d’Zan overlooked his lands across the bay. While the grounds are demure and park-like, the Dwight James Baum-designed mansion is exactly what one expects of a circus family. It rises several stories in tones of copper and gold, with tiles as rich as sky and water. Inside are chandeliers and murals, and technologies at the cutting edge of the mid-1920s. It is rich and on the edge of gaudy. Shy Mabel threw grand parties in and around the 57-room home and on their boat moored just outside the breakfast-room doors. She filled the palace with treasures from auctions, and with quirky design elements, like the sketched punctuation on her bedroom ceiling and the delicately painted flowers in her bathroom cabinet. “There is Mabel’s rose garden,” Alice says, nodding to our left. It is grand, befitting the first president of Sarasota’s garden club. Mabel died in 1929 of complications from Addison’s disease and diabetes. John engaged in a short-lived marriage sometime after, but his heart wasn’t in it. It is said he never recovered from losing the beautiful Mabel; he died in 1936 at age 70.